It’s Thanksgiving weekend here in Canada which has me once again feeling #ThankFall for all of the blessings I have. The first on my list is my family. I come from a long line of wonderful folks, 23 of whom will gather this weekend to spend time together and enjoy Thanksgiving dinner. The majority of my family is in England but the Canadian contingent does a fine job of representing! As the weekend begins, I am reminded by simply looking around how wonderful life really is. Each and every day my family members does something which allows me to feel emotions….both positive and not-so-positive but ultimately during times of reflection, it’s the overall feeling of love that impacts me when I’m thinking of family. Perhaps this is an age thing or a sign of growth, but I’m able to overlook the quirks and behaviours the people surrounding me may have that irritate me. That in of itself is a blessing. I am deeply grateful that God has blessed me with the ability to appreciate the people around me, through the years I have learned that this life isn’t actually about me but about the world around me. Getting out of my own head is a beautiful thing. With each holiday, I look forward to decorating. This Thanksgiving I look forward to gathering with the Elsdon clan, I am picturing how we all jam into a home filled with warmth and laughter to celebrate. 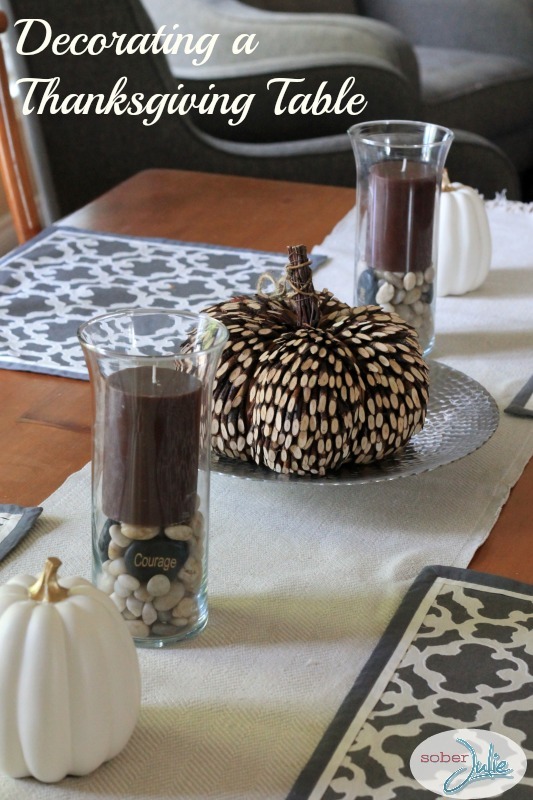 In order to get our home ready for Thanksgiving I went to Target to pick up the main decorative pieces. The focus of my decorating was of course my table. 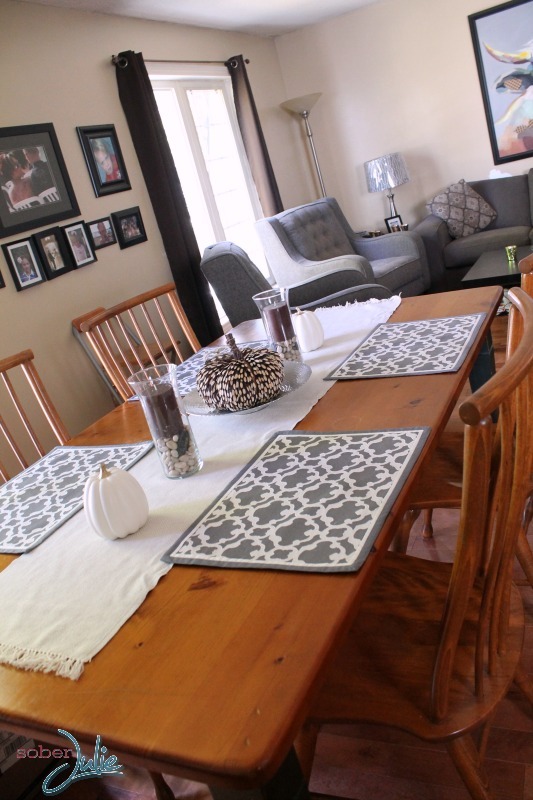 Creating a Thanksgiving table was at the top of the list, I wanted something which was stylish, fit the “grey” feel of our open-concept space and yet fit the Thanksgiving theme. 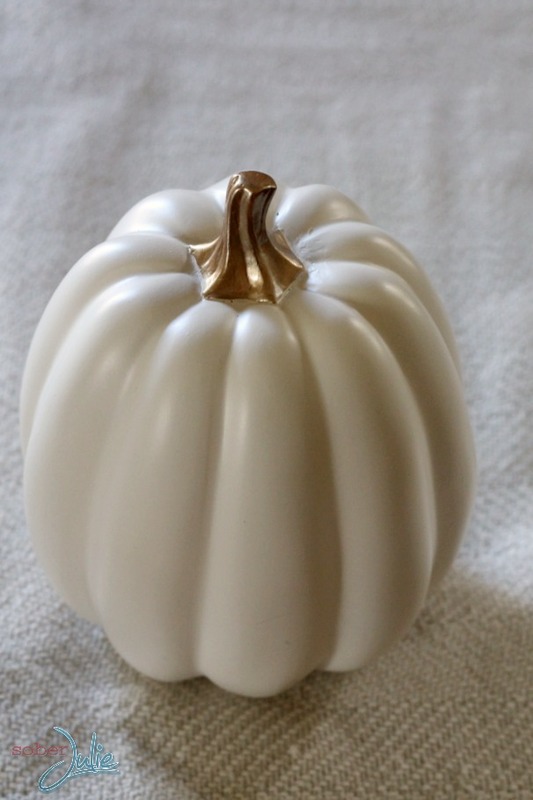 The very first item I fell in love with is this gorgeous, unique pumpkin from the Smith & Hawken line. 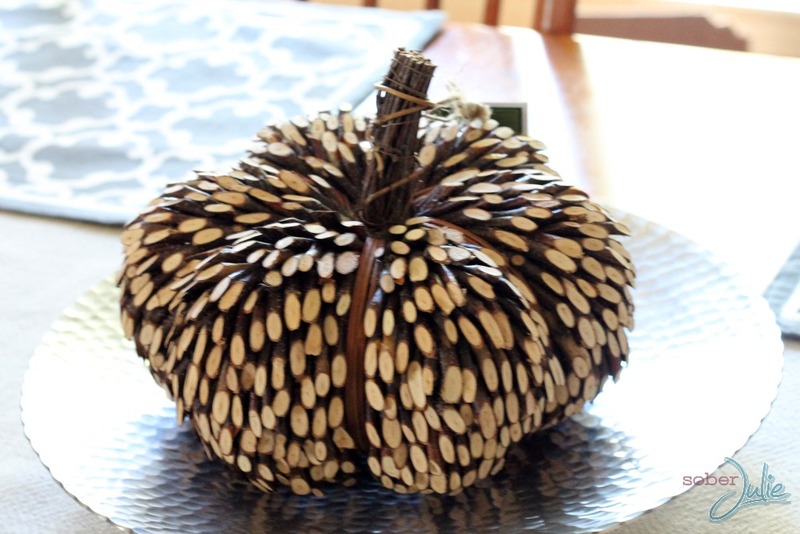 It is made up of birch twigs which protrude outwards and is shaped like a pumpkin. This baby will be a life-long decoration which I simply adore. I placed it upon a silver platter I had in the house and the effect is gorgeous. As someone who loves symmetry, I went on the hunt for 2 items to place on either side of the wooden pumpkin. I was looking for neutral shades to offset the wood colours. These cream wooden pumpkins with the gold stem from the Threshold line fit the bill, they weren’t expensive and with their heavier weight they will last for years to come. 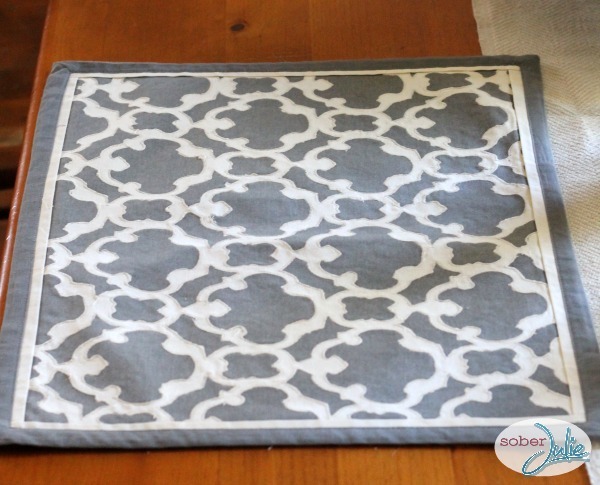 To round out the table and finish the look I decided upon these pretty place mats from the Threshold collection which match the colour of our living room furniture, yet bring in the cream of the dining room cabinetry. These are a fantastic match and made of a high quality fabric which will stand the test of my family year-round. 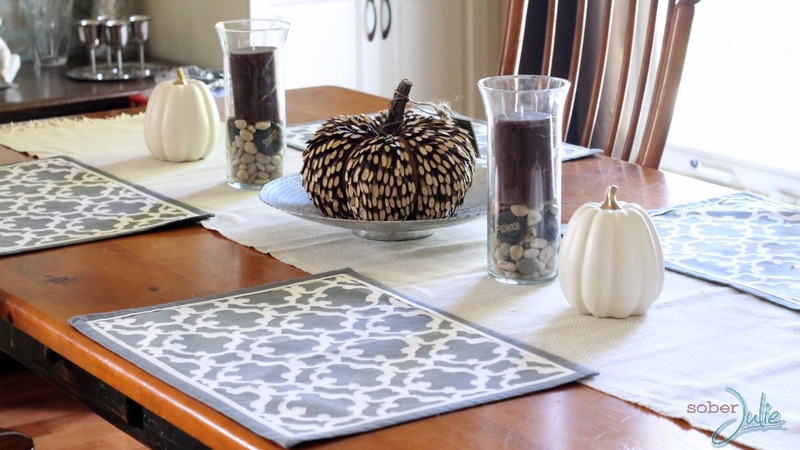 Finishing off the Thanksgiving table decorations, I bought a cream table runner then came home and assembled it all. I included some candle holders which I already had and ended up with a table we all agree looks lovely and fits my theme. In order to help you to decorate your Thanksgiving table or purchase anything else you’d like, Target is giving away a $250 Gift Card to one very lucky person. Disclosure: I am part of the Target #ThankFALL influencer program run by The Influential Network. I am compensated for this post but opinions are always my own! I’m thankful for my good health (I don’t take it for granted either), a loving supportive family and great friends. I feel truly blessed. Thanks for the review of Target’s decorations, hopefully I will get to a store soon. I’m thankful for my health, even though it’s not the greatest and my wonderful family!! I’m thankful for my husband, our health and happiness. I am so thankful for wonderful friends! Happy Thanksgiving! I’m thankFALL for a healthy family. p.s. – really like your pumpkin on the table – very classy! I am #thankFALL for my two healthy children. I am #thankFALL for my beautiful family! I am thankful for kind people. I’m #ThankFALL for i have family and friends always beside me, care me, love me and support me no matter what. I’m not alone. Love the decorations you choose for your table very nice and unique, especially the wooden pumpkin!!! i am #thankFall for my family and health! thankful for my family and friends!